The NBA Season is less than a week away and we couldn't be more excited. The NBA preseason has shown you slight glimpses of what to expect, but for the most part, we are all waiting to see how these things shape up this season. Today, I wanted to take time to list 9 teams that I think we should keep an eye on for this year for various reasons. These teams have either added pieces, lost big pieces, or have a shot at winning the championship. Which teams do we think you should be watching this year? Let's take a look. 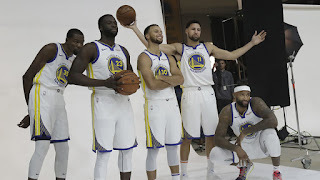 -So, you might be surprised go see this team on the list after the loss of LeBron, but I think that makes them even more of an intrigue to watch. How will this new roster do? Will they win games? 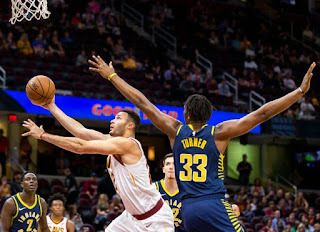 Will a season no longer based around "let LeBron handle it" be a special one or will the Cavs find themselves in position to win more games than expected and perhaps make the playoffs? There needs to be a reminder that some of these players are good and that for the last four years, a few of these guys, Kevin Love being the most notable, have played well into June and have championship and playoff experience. With Kevin Love as the no. 1 option, the newly drafted Colin Sexton, J.R. Smith having a green light again, and perhaps a chance at rejuvenation for Tristan Thompson. The Cavz would end up as a 45 win team or at worst, a 15 win team, but likely will end up somewhere in that 30-32 win column unless something drastically changes. A losing team usually isn't fun to watch but this team will be that regardless of record for various reasons. -This is the team everyone should watch. The reason why? 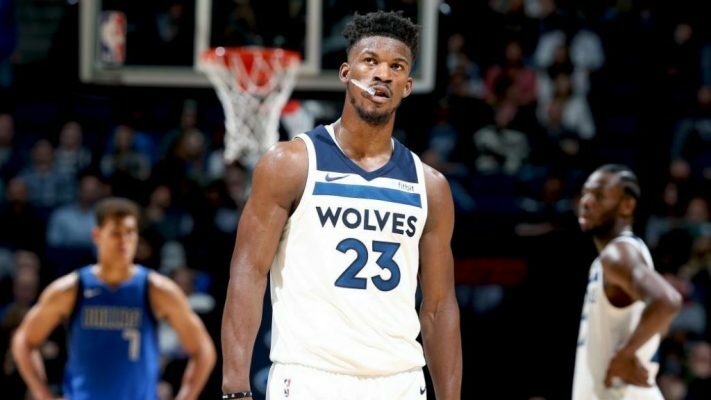 Jimmy Butler and his saga. While you may feel as though this team is on a huge decline and they might be, maybe this is what they needed. 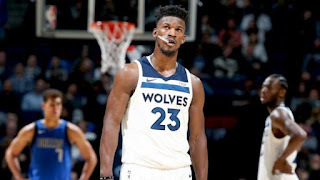 Regardless, Jimmy Butler is the heart and soul of that team and easily the best player there. 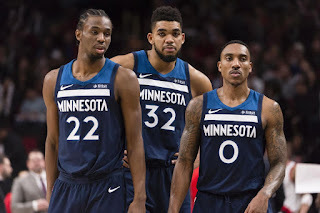 With that being said, the saga of the two max players in Andrew Wiggins and Karl Anthony Towns, as well as the debacle that just occurred in practice makes this season one that will have more eyes on the Timberwolves since they made the Western Conference Finals. Will Butler be traded or will Thibs be fired? 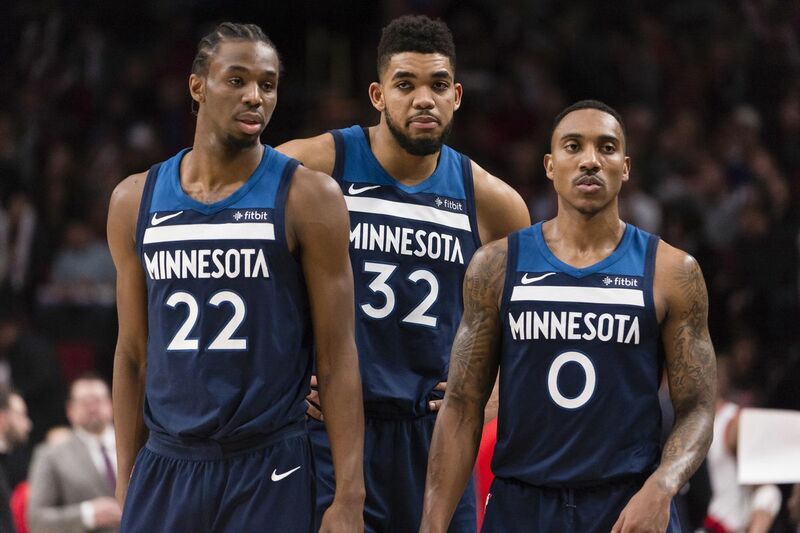 Will Wiggins and KAT find more aggression and play harder? All the unanswered questions make this team one to watch this year. -I think fully healthy, the Thunder is the second to fourth best team in the West. That is a heavy honor, but it is justified when you look at the talent on the roster, even if the shooting for this team isn't the greatest. 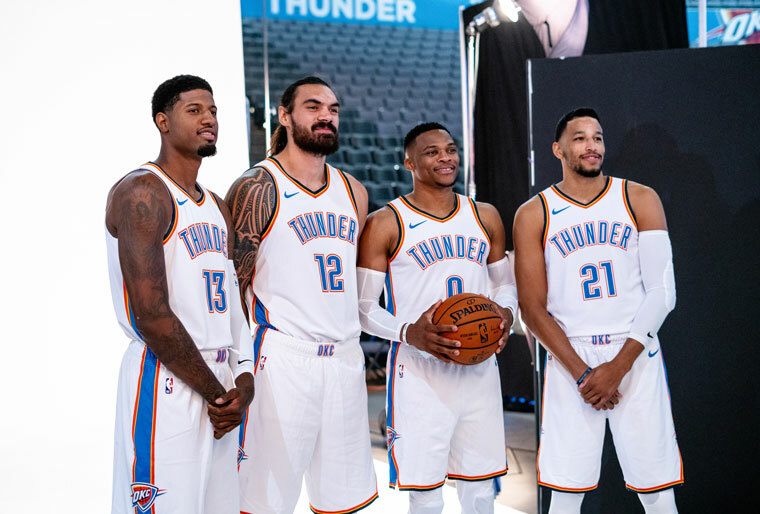 Still, with no Carmelo on the roster, will this be the year that Russ and Paul George find the winning formula that could lead them to a title? Add in a healthy Andre Roberson, Steven Adams, and Dennis Schroder, along with Nerlens Noel and there is a lot of potential for a big season. Will the Thunder surpass 50 wins this year? Can the Russ and PG duo be formidable? We shall see. -Kawhi Leonard. Kyle Lowry. Danny Green. The Raptors are a good team. However, what is their success rate for the upcoming season? Our prediction? Likely a top 3 seed in the East and utilizing their success to right the wrongs of the years past. Kawhi is not DeRozan, he is a star that has been to the biggest dance of them all. Will Kawhi led this team to success? That remains to be seen. 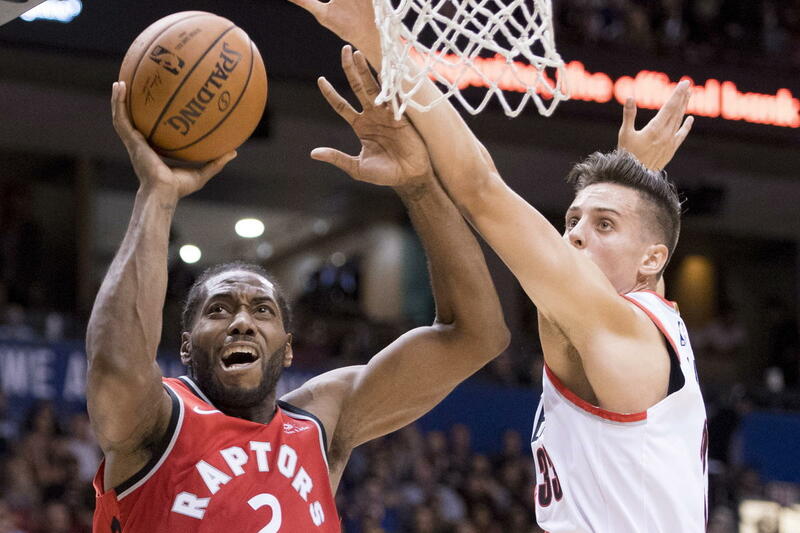 The grind that it will take to get to the playoffs is long, so ideally we want to see Kawhi Leonard at his best leading the charge. Will this be the Raptors' year? That is always possible and all eyes will be on Kawhi. -I am of the belief that the Rockets were a really good team last year, but they have seemingly got worse overall this past offseason. The lost of Trevor Ariza and Mbah A Moute will prove to be important on the defensive end and it is very possible that this team pushes to the Western Conference Finals before losing to Golden State, but being a contender is a small victory for the entire season anyways. 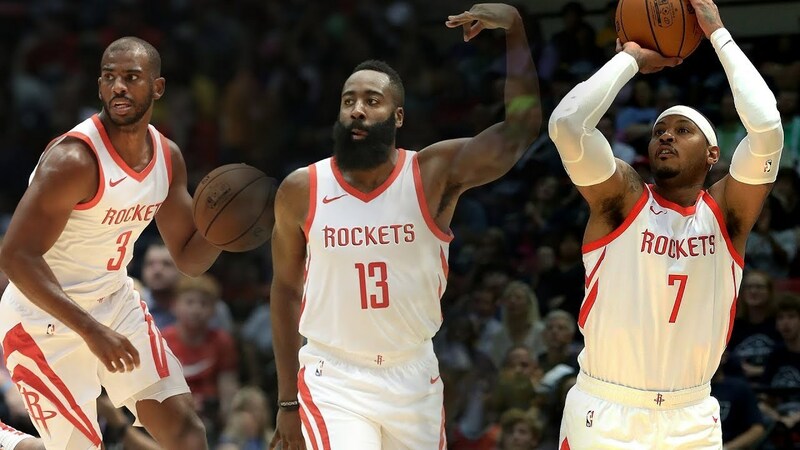 James Harden, Clint Capela, Chris Paul, PJ Tucker, and Carmelo Anthony make up the new potential starting 5 and while I think the Rockets will not make it to the same level of last year, they can win 55 to 60 games and secure the second spot out West. How they manage without Ariza will be interesting for sure. -This is the team that might sneak up and win their Conference. 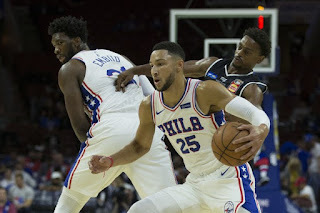 There are a number of questions about the 76ers, most of which are rooted in their shooting ability. J.J. Redick can't hold the entire shooting load for the team and that leaves them without another solid shooter, which is essentially going to be their downfall. While Markelle Fultz might be ready for his turn in the spotlight, Joel Embiid and Ben Simmons are poised to showcase why they could become a great duo in basketball and a top contender in the NBA. 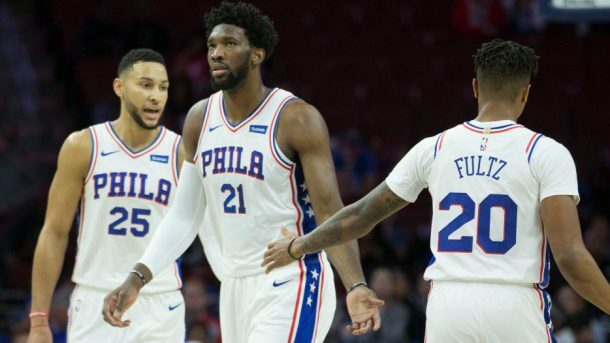 Is it possible for the Sixers to win 55 games and up? Yes. Is it likely? Somewhat, but we have to wait and see what the future holds. 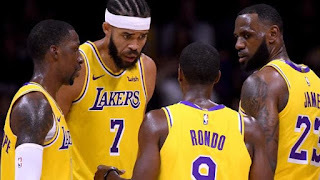 -So, all eyes are on the Lakers again. It started with the arrival of Lonzo and BBB, now LeBron has made the Lakers a must watch team. That, along with the additions of Rajon Rondo, Javale McGee, Lance Stephenson, Michael Beasley, and more have fans clamoring for the season start and the expectations are sky high for some and moderately low for others. The question is, will this team become a championship contender? With a young core that includes Brandon Ingram, Kyle Kuzma, and Josh Hart learning beside LeBron daily, the possibilities are endless.... however, a title this year and maybe next year is definitely out of the question. 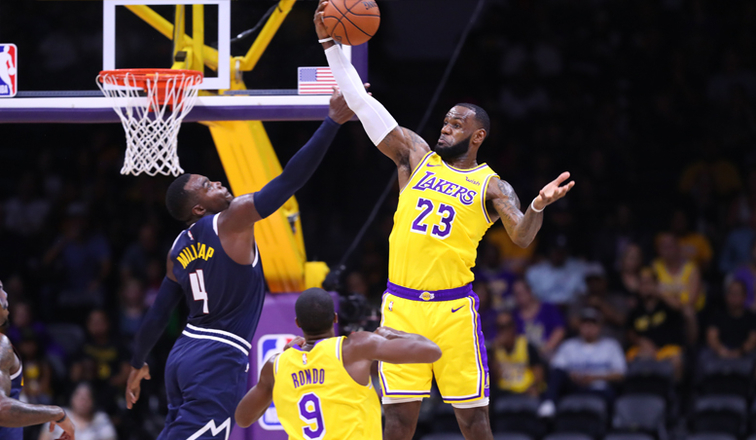 This Lakers team has potential, but the biggest factor here will be spacing and chemistry, which on paper and in the few preseason games, it seemed as if they lacked that at times. Will the Lakers bring playoff basketball back to LA? I guess we'll find out sooner than later. -I really enjoyed watching the top two teams on this list. They are extremely skilled and the two best teams in basketball IMO. The Celtics come back focused after being one victory away from the NBA Finals without their two best players. Now, the team is fully healthy and ready for East dominance. 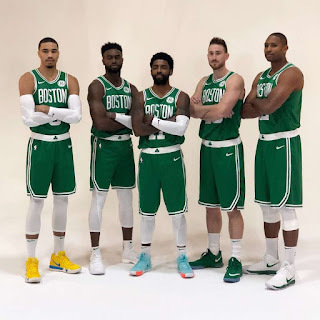 They have an opportunity to become a 60 win team, the best in the East and a possible choice to unseat the Golden State Warriors as the champions. With Kyrie Irving continuing to develop into a better leader, Gordon Hayward healthy again, Al Horford focused, the youth and passion of Jaylen Brown, Jayson Tatum, and Terry Rozier along with the grit and defense of Marcus Smart, this Celtics team is the one to beat out East. 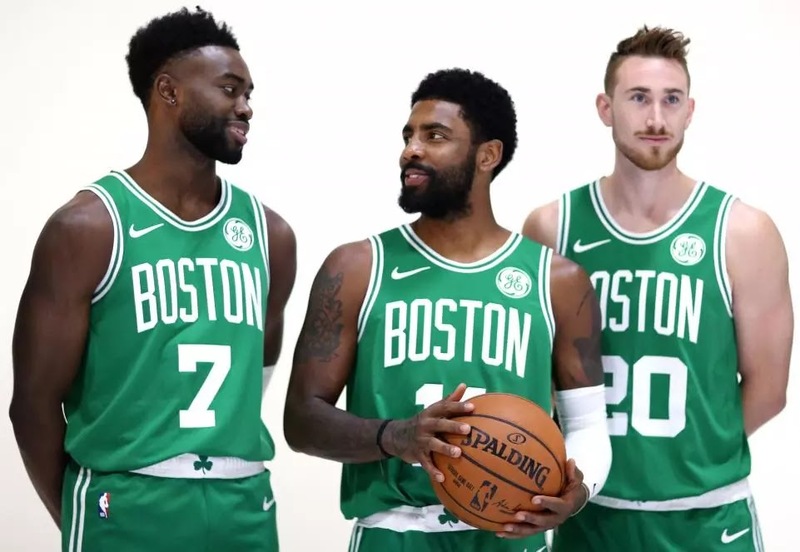 If they stay healthy this year, the Eastern Conference should belong to them. Only time will tell. 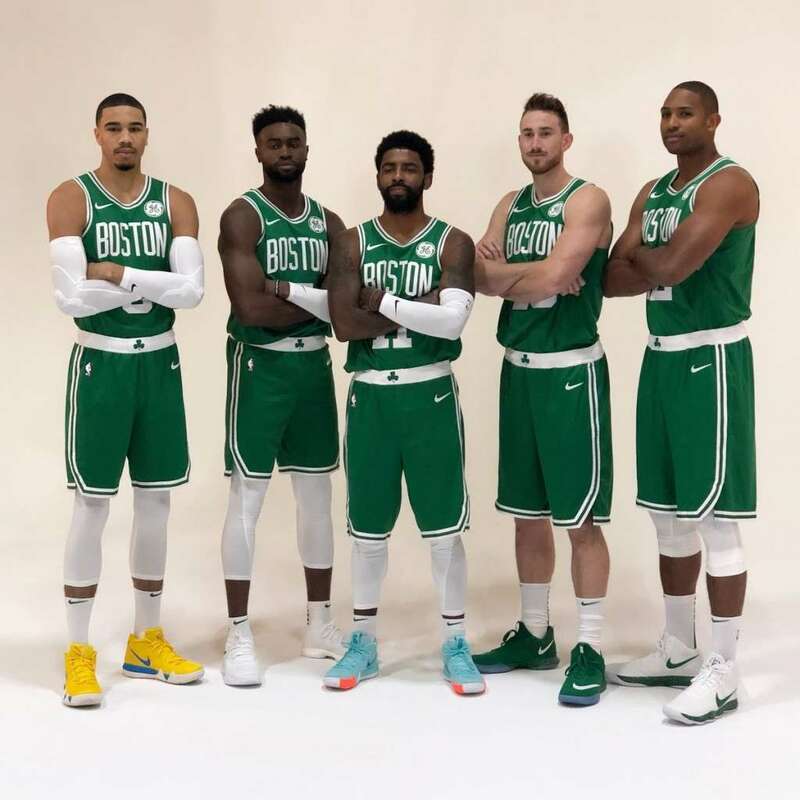 I predict the Celtics win the East and finally return to the NBA Finals after a 9 year drought. -Of course. This is the team I enjoy watching the most for a few reasons. For one, my favorite player in the game is Steph Curry and he is one of the greatest players in the game and easily the most fun to watch. Two, no one runs the offense as beautiful as Golden State with their ball movement, set screens, and overall offensive philosophy. 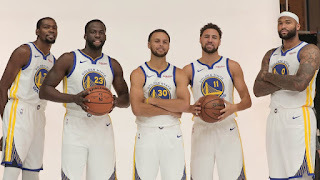 Three, despite being a historical offense, they would also be a top tier defense, as names like Klay Thompson, Andre Iguodala, and Draymond Green are three of the best defensive players in the game honestly and high IQ players. Four, they have Kevin Durant on their team for the third straight year and perhaps even beyond this. Lastly, they now have DeMarcus Cousins. 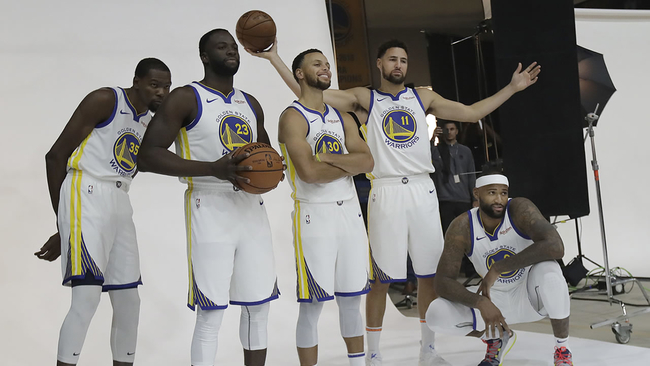 Could the Warriors be on the verge of their most fun season yet? Will they secure the three-peat? 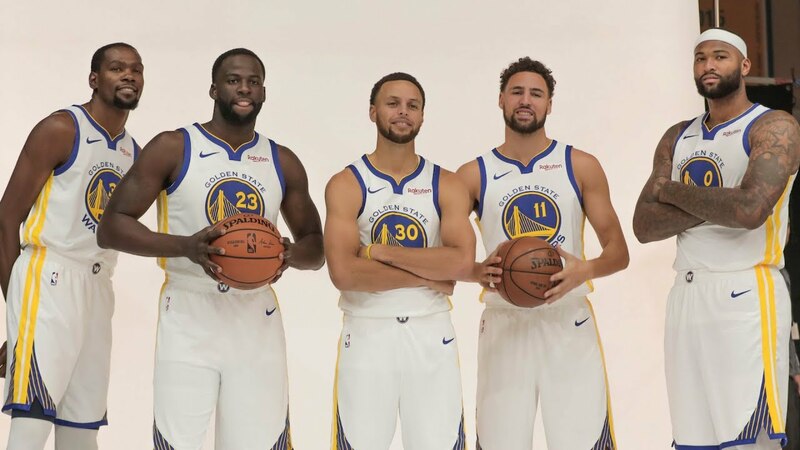 Will they walk away from their final season in Oracle Arena successful and as champions for the 4th time in 5 years? Most signs point to yes, but as always, we must wait and see. 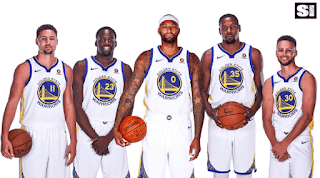 Who is the most popular team in the NBA? Who is the best team in the NBA? Who is the perennial favorite to win it all again? That is the team to keep your eye on the most this year.